Wonderful with a cube or two. Complex flavours that get better as the cubes melt. Top of the line for the St. Croix brand. Nice taste. Not too sweet. Not as smooth as of the other high end aged rums but not harsh either. Bottle as changed. Usually a good bargain at Total Wine. Picked up a bottle on a whim and ended up surprised. Not too much of an alcohol punch, and easy on the way down. Lacks in body in my opinion, reminds me of a young-ish agricole. The nose is nice and sweet, light oakiness. Would absolutely sip this, I don't think it needs to be relegated to a mixer. An honest brand, which I like very much. I usually prefer the heaviness of a pot-still rum, but a light column-still rum like this can be quite enjoyable. Light, as I had mentioned. Nice smooth vanilla accents, quite mild and pleasant. Nothing dramatic or showy, just very well balanced and delicate. I'd have it neat. Schönes oranges Gold im Glas. In der Nase sehr fruchtige (Mandarinen, Grapefruit, grüner Apfel) Holztöne. Im Gaumen ein nicht sehr komplexer Früchtebrei, etwas Vanille, etwas Kräuter, etwas Holz. Im Abgang fruchtig, würzig, holzig. Ein Rum für alle Tage, sicher auch ganz nett zum mixen. Beautiful orange gold in the glass. In the nose very fruity (tangerine, grapefruit, green apple) wood tones. In the palate a not very complex fruit porridge, some vanilla, some herbs, some wood. On the palate fruity, spicy, woody. A rum for all days, certainly also nice to mix. Somewhat complex, slightly dry, yet well suited as a mixer. While sippable , I always seem to reach for something else. Good, but not great. Here in the UK it used to be something like 37.5% ABV but it is now at 40%. While I usually prefer my rums at 40%, I think that the 37.5% was the better drink. The oak tones used to be more pronounced, especially on the nose. However, while the nose is more spirity (as naturally the palate is as well) the oak is still plain to see on the palate. But while I like the bite to it, I have to be in the right mood and there are plenty of other rums out there that are smoother and ultimately easier to drink. I like it, but it could be better. The bottle notes say balanced blend of caramel sweetness & oak with a warm buttery finish. Some of each is in this light orange rum but it doesn’t deliver the goods to me. Sorry it doesn’t taste/rate like the other premium extra aged runs I have tasted. This bottle goes to mixers. With a deep golden hue the nose accumulates tastes of leather , oak, molasses and just a hint of fruit. There’s little alcohol burn as the smooth liquid flows across your tongue. This is a fine example of the traditional Virgin Islands Caribbean rum. Steeped in history; touched with the golden sun. Un ron que me gustó mucho. Mucha fruta en boca, suave y toffee. De los rones promedios sin lugar a dudas de los mejores. Deja un agradable sabor en boca por buen tiempo. I honestly had low expectations when I purchased this rum. 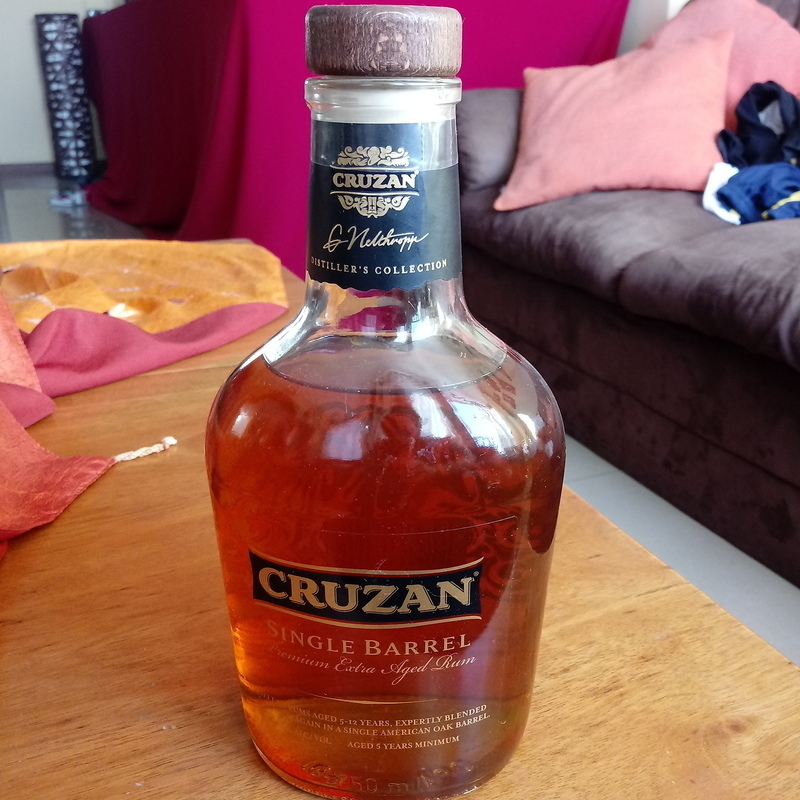 I love using cruzan light in cocktails as I believe it stands up extremely well in mojitos and the like...but given the low price point I figured the best that cruzan had to offer at $35 a bottle would be just OK. Nope, totally wrong. I'm new to the rum game but can appreciate the goods when I run across them. This is a very balanced rum with enough complexity to keep you interested. It drinks like a bourbon without that whiskey kick. Very smooth and silky in almost every way, I'm astonished that it only costs $35. It is tremendous on it's own and would do well in any rum-forward cocktails. Very happy with this expression! Great job Cruzan! Let me start by saying that I like this rum, but unlike most rums every bottle is a little different. I guess this proves that this is truly a single barrel rum. I have had several bottles of this one so my ratings are base on all my tastings. Now for the real rating. COLOR: The color is a little on the light side, but honestly color is not that important to me. NOSE: The aroma is strong. Definite alcohol smell. LEGS: The legs are really nice. Long legs that run slow. TASTE: Nice, does not taste like it smells. Smooth entry into mouth with a hint of fruit. The taste lasts in your mouth as it runs down your throat. No after burn. PRICE: About $30. OVERALL: 7 Definitely one I keep in my cabinet. Cruzan and RL Seale (Foursquare) have always been my favorite brands due to taste, consistency and price. 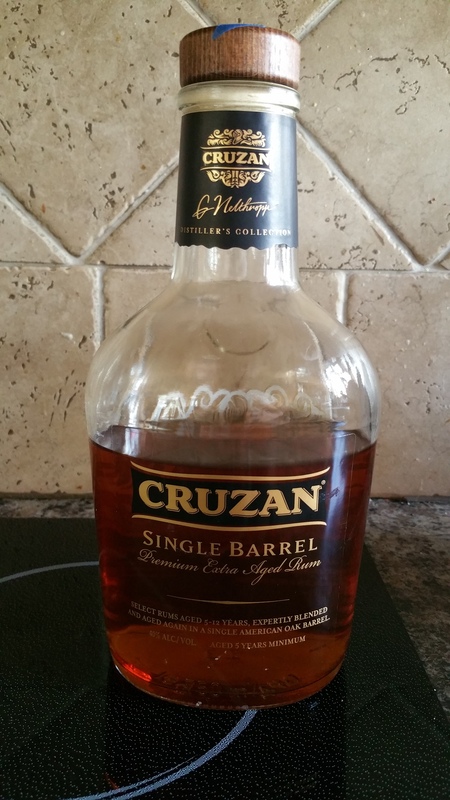 Cruzan Single barrel hits the mark with its deep flavor (although not “anejo” or scotch like). Nice and smooth on-the-rocks. Not a daily go-to but not a save for a special occasion, Will always have a bottle in my arsenal.